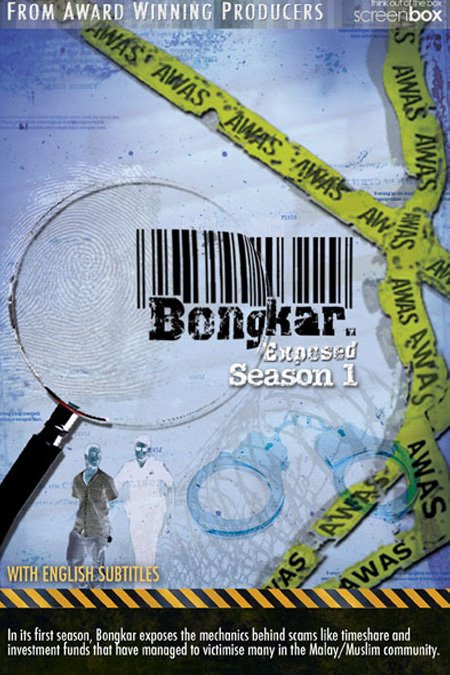 Bongkar is a red hot investigative programme that has boldly opened up the secrets beneath the image of the mainstream Malay/Muslim community. Its investigative reporting slant and the hard questions confronted during the series have made it a huge talking point in the community and local newspapers. Season 1: In its first season, Bongkar exposes the mechanics behind scams like timeshare and investment funds that have managed to victimise many in the Malay/Muslim community. Season 2: Bongkar has created controversy once again in its 2nd season unmasking taboos kept under wraps by the Malay/Muslim community.